Promotional Products. 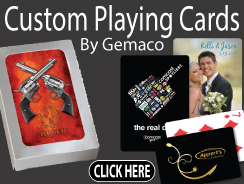 From Custom Poker Chips, cards and cases we sell them all. Deal with the pros for you next project. Our staff is knowledgeable and eagar to help.